Iran has executed Reyhaneh Jabbari who killed a man she said was trying to abuse her. 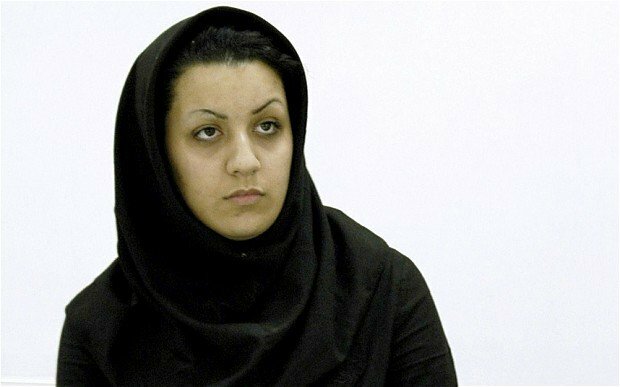 Reyhaneh Jabbari, 26, was hanged in a Tehran prison despite an international campaign urging a reprieve. She was arrested in 2007 for the murder of Morteza Abdolali Sarbandi, a former employee of Iran’s ministry of intelligence. Human rights group Amnesty International said Reyhaneh Jabbari was convicted after a deeply flawed investigation. A campaign calling for a halt to the execution was launched on Facebook and Twitter last month and appeared to have brought a temporary stay in execution. However, government news agency Tasnim said on Saturday that Reyhaneh Jabbari had been executed after her relatives failed to gain consent from the victim’s family for a reprieve. It said her claims of self-defense had not been proved in court. After her arrest, Reyhaneh Jabbari had been placed in solitary confinement for two months, where she reportedly did not have access to a lawyer or her family. She was sentenced to death by a criminal court in Tehran in 2009. Amnesty said that although Reyhaneh Jabbari admitted to stabbing Morteza Abdolali Sarbandi once in the back, she alleged that there was someone else in the house who actually killed him. Jalal Sarbandi, the victim’s eldest son, said Reyhaneh Jabbari had refused to identify the man. The UN says Iran has executed about 250 people this year.